The Sun's transit through Gemini is typically an up-beat period, especially in the northern hemisphere, where the days are getting longer and longer as we head into summer solstice. The Gemini energy is a bit nonconformist, but we enjoy gatherings with others of like mind. Gemini's influence has us family oriented with siblings and cousins. It's a popular time for weddings and family reunions. The moon's transit in Sagittarius is the full moon that can cause us to question our values and beliefs. On the other hand, if we are secure in these areas, we are likely to be open to others' values and beliefs, to explore new ideas and cultures. Jupiter retrograde in Libra is forming a loose wedge pattern to the full moon. Jupiter's transit is moving over a critical degree of Libra, adding an intensity to the aspect. On the surface, our outlook is more positive, with natural leadership opportunities that can open up for us to explore. Since Jupiter rules the sign of Sagittarius, there's an added perspective that guides us to become more adventurous during this full moon. Shortly after the full moon, Jupiter will station, and begin to move direct (forward) again. 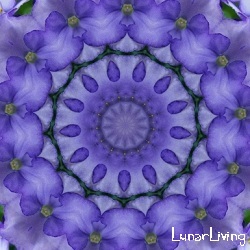 The T-square from Neptune in Pisces, to the full moon could add some deception into our day. We need to be cautious not to believe everything that we hear or witness. Our dreams could also cause confusion for us, especially if it feels real. Take plenty of time to sort out the fantasy from the reality in order to get back on track. Mercury in Gemini is right at home, adding to our logical thought processes of the situations we observe. Certain planets rule over one or more signs, that add to the strength of the transit. Additionally, Mercury is transiting over a critical degree in Gemini, which can cause us to feel restless or disconnected. Don't forget to check in with the emotions that help us to make the best decisions, not just the logical one. Be willing to weigh the options and the outcomes. Venus in Taurus is also right at home, helping us to find a sense of security and stability. Venus is sextile to Mars in Cancer, This helps us to connect more openly to others. Venus can add money to our life, or influence us to spend more than we have available. Finances and security are important themes when Venus moves through Taurus. Mars continues to transit out of bounds in Cancer. Mars' out of bounds transits have been associated with intense natural disasters in the past. Even though there's always the potential for tragic events, when Mars is transiting out of bounds, it's a good time to review our safety plans of action. Do we have extra water stored? Have we practiced our escape from a fire, recently? Do we have a way to stay warm or cool in the event of a power outage? These types of preparations can make a difference between being a victim of circumstance, or a survivor. We cope better when we are in survivor mode. Saturn in Sagittarius is trine to Uranus in Aries. There is a natural tendency to suddenly scrap everything, to start all over. If that urge is there, then take the time to evaluate the options. Sometimes, it is better to let go of a losing battle, to redirect and go in a different direction. There is no shame in letting go of a lost cause. Also, we may find that our energy levels improve when we don't feel burdened by choices that feel impossible to achieve. Neptune in Pisces will station for a retrograde transit on June 15. The retrograde of Neptune can feel as though the veil is being pulled back to reveal something that should have been obvious, at the onset. Neptune, the great obfuscator, can reveal the hidden meanings, while transiting retrograde. Be ready to soak it in, and/or hear all the "I told you so!" from others who tried to warn us. Overall, this full moon chart in Sagittarius is ripe for change and opportunities. There's an overall balance within the chart, that allows us to explore the options safely, while making better choices for our future. Yet, there's also the opportunity to fail, and start fresh. This chart is low in the fixed quality signs, so be prepared to change directions at least once, and possibly more than once, over the next couple of days. Capitalize on the planets that are transiting in their "home" signs to give us added insight. If death is the schoolmaster, then life is our homework.